The thing I like best about the world of drift racing is that ordinary economy cars often get turned into rip-snorting racing cars with loads of power. The 2017 Toyota Corolla iM is the perfect example of this, an everyday driver that’s not exactly known for its performance. 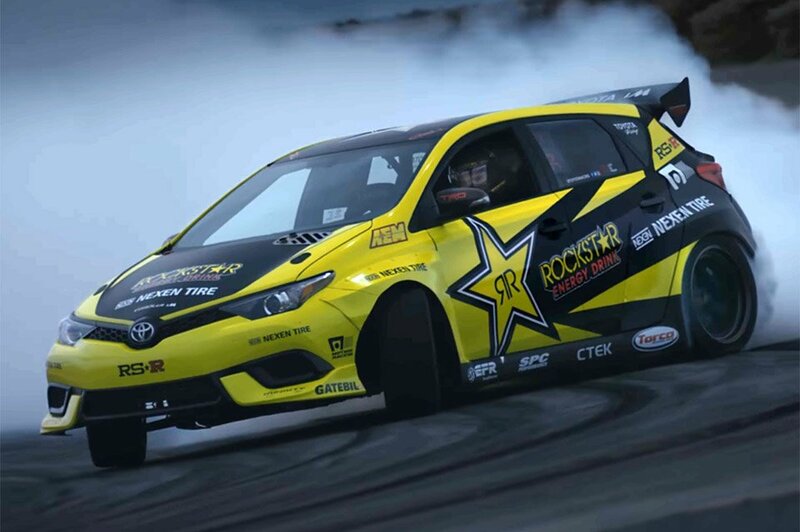 The folks at Rockstar came in and turned the rather ordinary Corolla iM into a drift car for Fredric Aasbo to drive this season. The car looks very cool, wrapped in a bold yellow and black Rockstar livery, and outfitted with some bonus aero bits. Apparently it’s got an insane 1000 hp, 2.7 liter turbo 4 engine under the hood, which pushes out 850 lb-ft. of torque. The brief reveal video was inspired by the Japanese manga Initial D, which featured the classic Toyota Corolla AE86, and shows the car seriously smoking some tires. You’ll also notice that the power seems to all be headed to the rear tires – while the stock iM is a front-wheel drive car.